New Tools for the Big Boy! Here's some pics of the new tools bought for the Garage Majal. These are likely to be lifetime investments, so I bought the biggest, baddest, and unfortunately, most expensive versions I could find. 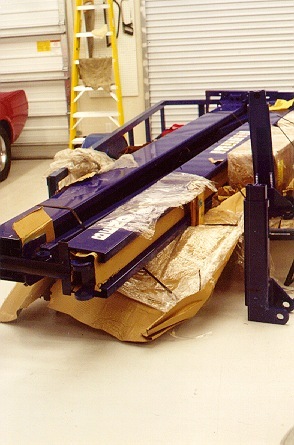 This is the autolift, only partially disassembled, sitting on the utility trailer. It weights 1450 pounds. 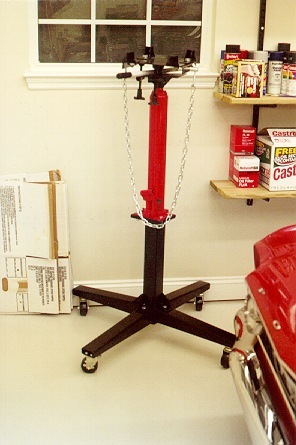 It is a two post, asymmetric lift. 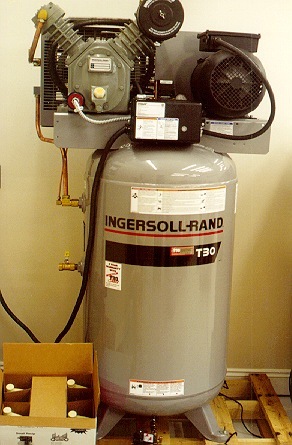 The air compressor. Not hooked up to filters and air lines as yet. 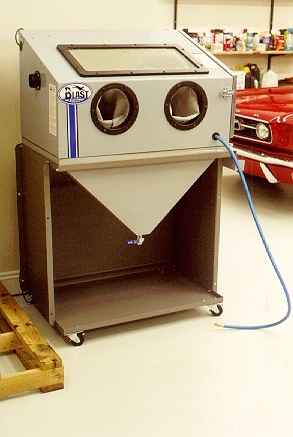 The blasting cabinet, obtained from TP Tools. 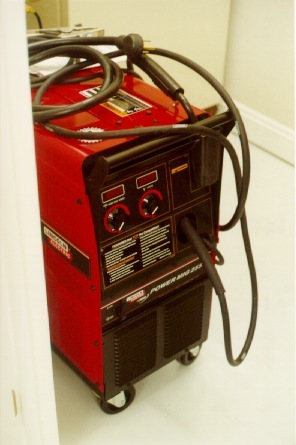 My Lincoln 255 MIG Welder., which runs on 220 Volts. 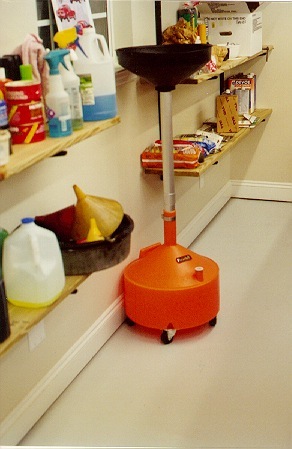 OK, ok, one frivolous purchase, but it sure makes the job easy! 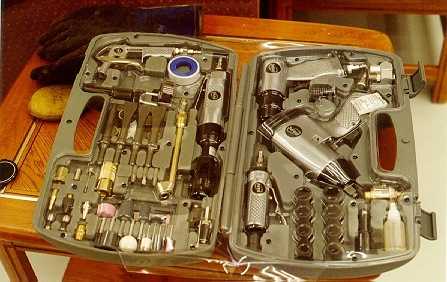 This is a DeVibliss air tool kit, bought at Sam's Club.